This is the first time playing MOBA(Multiplayer Online Battle Arena) or you are already familiar with PC hits like DOTA and LOL? 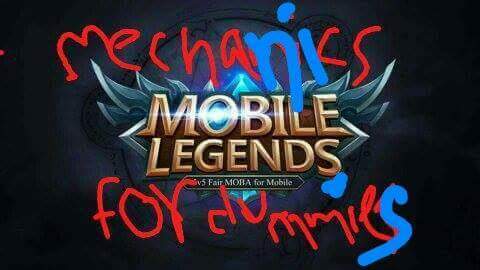 No worries, here are some ingame mechanics that will certainly make you a better player? A lot of gameplay is affected by the environment. Like LOL if you go into a bush, you will be unseen to everyone outside the bush unless you attack or an enemy enters the same bush. Remember this does not apply to allies. 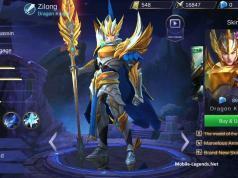 There are 6 types of heroes in mobile legends.I will explain each role briefly. The main role of a tank is to absorb damage from enemies while ranged or low health heroes deal damage. They are also the gank(more on this later) initiator. These heroes rely solely on their normal attacks rather than abilities. They also have decent health and damage. These heroes are also mostly melee but unlike fighters they are more ability-based. These heroes can also take down enemies faster than others. These are ranged heroes who rely on their high damage abilities to kill heroes but are fragile and easily killed so they stay behind tanks and let tanks/fighters absorb enemy fire. A marksman relies on his range and abilities to kill enemies. They have decent damage but are very fragile and should stay behind tanks. The only support in the game is Rafeale. But generally support heroes don’t rely on damage and health but instead heal other heroes. They also provide buffs(more explanation later) to ally heroes. I will explain all terms(I may miss some, remind me in the comments) used inside the game to signify some things. These are towers present in each lane that attack any enemy within range. The goal is to destroy these towers and reach enemy base. It is also advisable to let minions take damage while you attack. These are small troops that spawn after a regular interval. There are three types-melee, range and cannons. You also get better minions in lanes where all enemy turrets are destroyed. These are attributes provided for limited time period either by spells, killing specific jungle creeps, by items, or by support heroes. These include increased speed, damage, attack speed, etc. These are neutral creeps found in the area beside the lanes. Some provide buffs while others only give gold and experience. There is also turtle which when slain gives gold and exp to all allies. The Lord also when slain spawns at your base and goes to the weakest enemy lane to help clear enemies. It is a term used to signify a hero that is going around killing jungle creeps instead of staying in lane. It means heroes that are killing and defending a specific lane. It means to pressure a lane with the objective of destroying enemy turret. Gank or ganking is essentially team fights. Losing ganks can result in destroyed towers as usually all heroes are killed and nobody is there to defend lanes. Away from keyboard(mobile) and not playing.Nobody likes these. When it goes zero, you die. To revive after being killed. It takes more time to respawn as the match progresses. Used by heroes(except fighter) to cast abilities. Short for defend as in defend lane. Damage done by physical attacks or ability of melee/range heroes. It shouldn’t cost mana.The values are not always true(explained later). Damage done by mages and mana costing abilities.These values are also not always true. It’s how fast a hero attacks either melee or range. Remember this does not affect time take to cast abilities. It essentially decreases the damage of physical attacks. The more armor you possess the less physical damage you take. Same as armor but with magic attacks. This damage is not affected by armor or magic resistance. If it says 1000 damage, it will do 1000 damage no matter what. This type of damage is done by specific hero skill and some spells. It is an ability unique to passive skill of some heroes. It usually makes the hero stronger by adding to one of it’s stats such as hp or armor. Example of resilience would be Alice’s passive which gives a blood orb for killing enemy minions which in turn increases her magic power by 1 for each orb. This is increased by playing ranked matches. The higher your rank the better reward you get at the end of season. But, as you climb higher you’ll face tougher opponents. Hope you found this helpful. Stay updated with the page to find other helpful posts and more guides for dummies.Keep rockin’. So may i ask what does resilience from tough boots do? Does it only reduce magic attack received or does it reduce both physical and magical attacks received? Does anybody have a little more insight or mathematical knowledge of stats like resilience and penetration? … Like +45% physical penetration like the Wind Chaser, does that ignore 45% of your targets armor? P.S – PS is how the alphabet would look without R. (Mitch Hedberg joke) lol but p.s Ganking is not a team fight. Ganking is jumping unsuspecting enemy with more champions than they have. Like when that lonely Alucard or Miya is trying to push a lane solo and your whole team jumps them in a brutal all ULTI smash and they QQ cry n rage quit. where can i see my champion stats when ingame? Is there a cap on COOLDOWN REDUCTION? someone knows what the hell is the button just near to the base attack ones with a skull drawn on it? 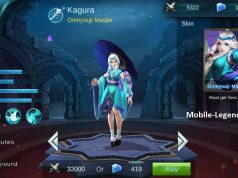 In mobile legends, there are two Boots. 1 Boot gives magic resistance and the other gives magic damage reduction. What is the difference between the two? Are they the same? how about Physical Penetration? or Lifesteal Computations? Where are the other useful stuff like bush mechanics and stat caps? What is meant by Penetration attacks?